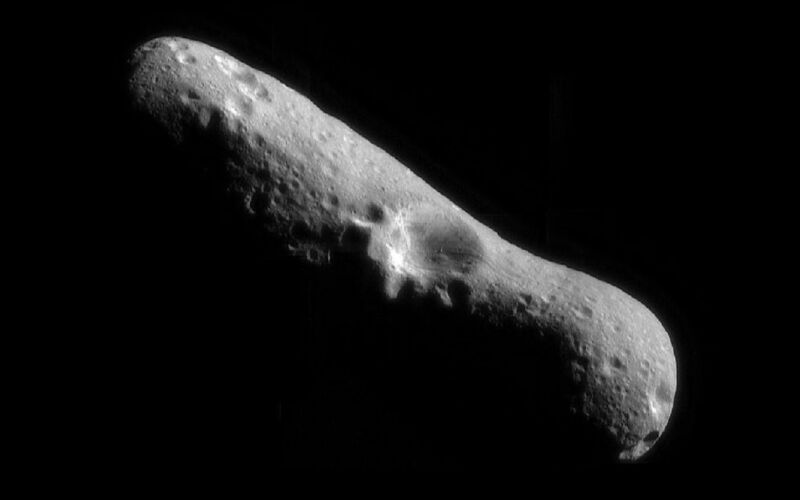 This picture of Eros, the first of an asteroid taken from an orbiting spacecraft, is a mosaic of four images obtained by NEAR on February 14, 2000, immediately after the spacecraft's insertion into orbit. We are looking down over the north pole of Eros at one of the largest craters on the surface, which measures 4 miles (6 kilometers) across. Inside the crater walls are subtle variations in brightness that hint at some layering of the rock in which the crater formed. Narrow grooves that run parallel to the long axis of Eros cut through the southeastern part of the crater rim. 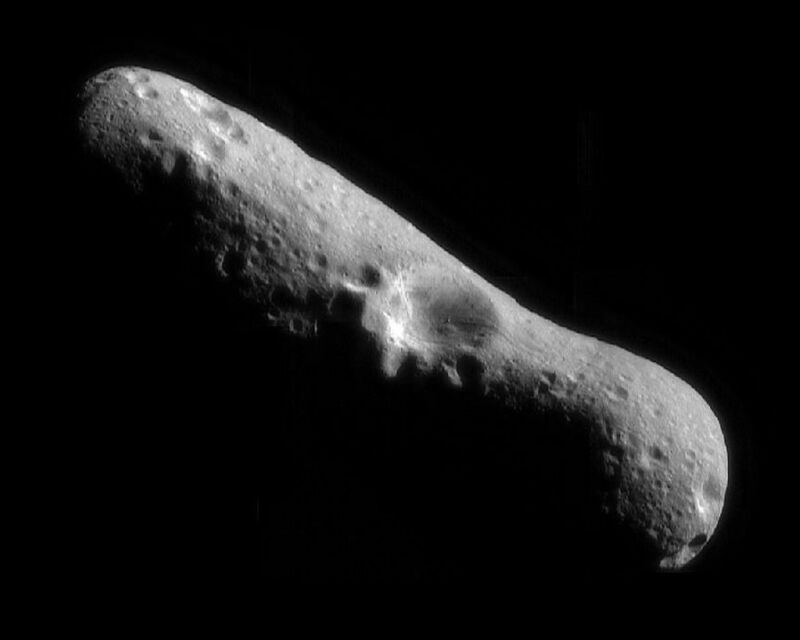 A house-sized boulder is present near the floor of the crater; it appears to have rolled down the bowl-shaped crater wall. A large number of boulders is also present on other parts of the asteroid's surface. 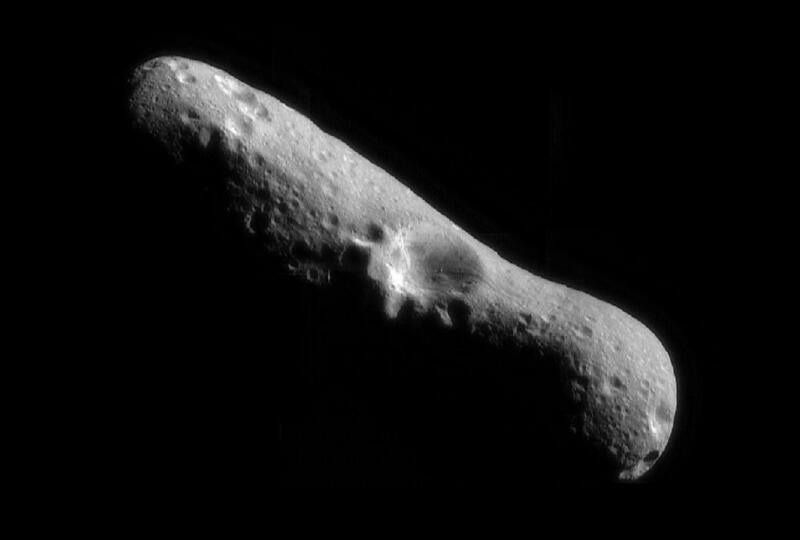 The surface of the asteroid is heavily cratered, indicating that Eros is relatively old.